Divorce Appraisals in Madison County by Denton & Kennamer Appraisals, Inc.
We know that divorce can be very difficult. There are countless choices to worry about, including the status of the house. There are generally two choices when discussing the house - it can be sold and the proceeds divvied up, or one party can "buy out" the other. In either case, one or both parties would be wise to order an appraisal of the residence. When the purpose of an appraisal is a divorce settlement, it requires a well-established, professional value conclusion that is defensible during a trial. Denton & Kennamer Appraisals, Inc. pledges to give you an exceptional level of service with professional courtesy and the highest quality appraisal. 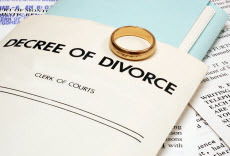 We also know how to care for the sensitive needs of a divorce situation. Denton & Kennamer Appraisals, Inc. can help if you need an appraisal dealing with a divorce or other allocation of assets. Attorneys as well as accountants in Alabama depend on our analysis when calculating what real property is worth for estates, divorces, or other disputes needing a value opinion. We understand their needs and are accustomed to dealing with all parties involved. We assemble appraisal documents that meet the requirements of the courts and various agencies. For attorneys representing a client in a divorce, your case's evidence typically needs an appraisal to determine market value for the residential real estate involved. A great deal of the time the divorce date can be different from the date you purchased the appraisal. We're comfortable with the techniques and what is imperative to develop a retrospective appraisal that has an effective date and Market Value estimate matching the date of divorce. We work on lots of divorce appraisals (unfortunately) and we understand that they need to be handled with total professionalism. The Uniform Standards of Professional Appraisal Practice (USPAP) contains an ethics provision which dictates confidentiality, resulting in the utmost discretion. Copyright © 2019 Denton & Kennamer Appraisals, Inc.